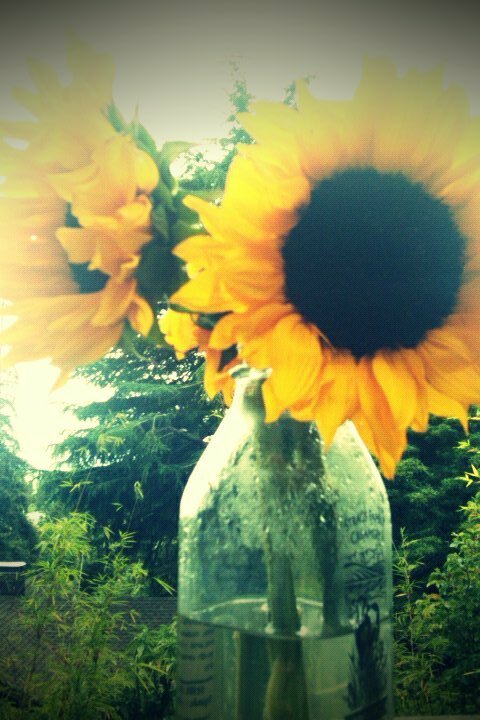 Couldn't find a relevant photo for this blog post, so I settled on these pretty sunflowers a friend gave me recently. I’ve taken a hiatus from writing on the Dignity Movement blog and Facebook wall, as has Bob Fuller. Here’s why: we’ve spent the past few weeks discussing whether our goal really is to build a movement around the concept of dignity and against rankism. That’s what we originally set out to do in February; that’s why we built the DM Facebook page and this blog in the first place. We felt the pressing need for an actual, member-driven dignity movement. But a few weeks ago, Bob and I independently came to the same conclusion: the dignity movement already exists. It’s called the women’s movement. The abolitionist movement. The anti-genocide movement. The healthcare reform movement. The list goes on, but one central point remains: any movement of people that strives in any way to uphold and defend dignity and combat a form of rankism is, in fact, a part of the larger dignity movement. So what, then? Is our mission accomplished? Not yet. Hundreds of millions of people the world over may be fighting rankism and defending dignity on a daily basis, but if they aren’t seeing their work through that lens, they may not see how it is connected to the work of others. And it’s that deeper understanding that will allow us to transcend the boundaries of our single issue-focused struggles and join hands in solidarity against all forms of rank abuse. It’s that deeper understanding that will truly bring about a dignitarian future. The last time we chatted, Bob and I agreed that we can leave the movement-building piece to the thousands of incredible organizers and advocates across the US and around the world. We want to focus our efforts on spreading the word about rankism and how to stop it. Let’s make sure everyone knows how to recognize and challenge rankism when they see it. If you’re with us, share some ideas below of how we can get started. We’re thinking of creating a powerful YouTube video and writing some engaging Huffington Post pieces. Other suggestions? Robert W. Fuller, founder of the dignity movement, shared these words of wisdom in an email the other day. I thought I’d pass them on to you. Nowadays, in developed societies, predation does not so much take the form of attacking others’ physical bodies; rather, it takes the form of doing damage to others’ psychological selves. Wounded and weakened, people are rendered less competitive, and this works to the predator’s advantage. Going from preying on bodies to preying on selves is analogous to going from ball-and-chain slavery to wage slavery: a less egregious form of setting others up for exploitation, for advantaging oneself at their expense. Isn’t it amazing that little kids begin doing this to each other, with sneers and put-downs, long before they have any idea what they’re doing? We have only to make such behavior visible and call it by name to set in motion a process that will eventually render it insupportable. Slavery is no longer something to be proud of. Someday, put downs of any sort will be widely regarded as equally indefensible. Join us in putting a name to rankist behaviors. Robert and I are compiling a list of dignified/rankist antonyms, such as somebody/nobody or include/exclude. Which antonym pairs come to mind for you when you’re thinking about dignity and rankism? Rankism In the News: Another Sexual Abuse Scandal? How many more of these sexual abuse scandals will be uncovered in 2011? But back to our Egyptian friend. 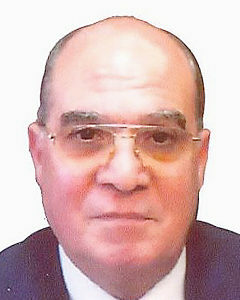 “[Mahmoud Abdel Salam Omar, a] 74-year-old businessman is accused of sexually abusing the maid and holding her against her will inside his hotel room” on Sunday night. Talk about rankism in action. Ending rankism will take more than ad hoc, interpersonal acts of dignity. We need to transform the social, economic, and political structures that shape our lives on a daily basis — education, work, healthcare, religion, sports, politics — into places where rankism is never tolerated and dignity is always upheld. Below, Robert W. Fuller offers 10 ways for us to do just that. 1. Work: Take the trouble to understand how co-workers contribute to getting the job done and acknowledge their contribution. 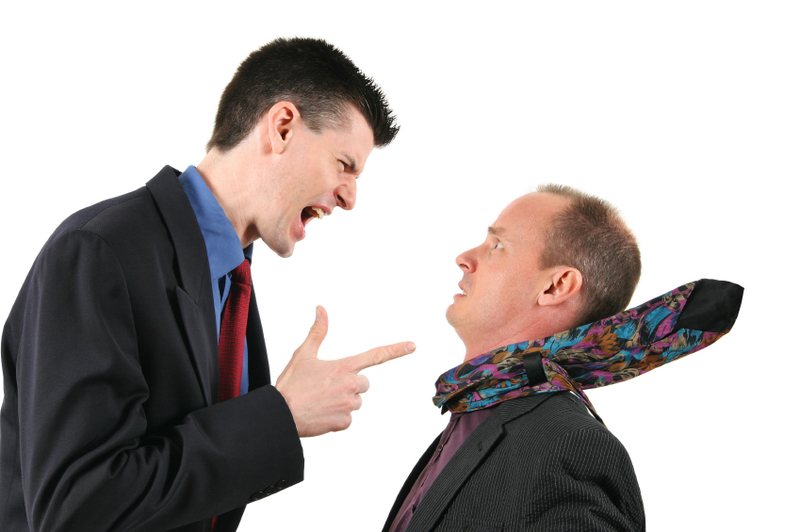 If you are a boss, it’s not enough to avoid treating your employees in a rankist manner (though the example you set will reverberate through the entire organization); you are also responsible for making sure that your subordinates treat their subordinates with dignity. Dignitarian companies are not only happier workplaces, they are also healthier, more creative and more productive ones. Teachers are increasingly sensitive to the harm done to students by indignity. If you’re an educator, you can bring this awareness into the open and communicate it to those students whose bullying and humiliation of peers unconsciously mirrors that of adult society. A threat to a student’s dignity is more than a discourtesy. It is an attack on one’s status in the “tribe,” and carries an implicit threat of ostracism and exclusion. Status has historically been a matter of life and death and remains a determinant of whether we prosper or decline, so an attack on status is experienced as a threat to survival. Rankism poisons the learning environment. 3. Healthcare: Enlist your patients as partners. If you are a healthcare provider, you can help your clients make the awkward transition from patients to partners. Ridding healthcare of its legacy of dehumanization and infantilization is good medical practice. You can also insist on respect throughout the organization in which you work. If you are a patient, have compassion for doctors, too. It’s not easy to give up one’s “deity status,” and many physicians are doing so with remarkable grace. Moreover, remember that they’re victims of rankism themselves at the hands of HMOs that often treat them less like the professionals they are and more like pieceworkers on an assembly line. 4. Sports: Have respect for the other team. If you’re a coach, you can forbid trash talk, on and off the court, among your players and to your opponents. Show your team that they are capable of more–not by humiliating them but by teaching and inspiring them. Rent the 1973 film Bang the Drum Slowly and show it to your athletes. Its punch line–“I rag on nobody”–puts it in the dignitarian hall of fame. 5. Religion: Exemplify rather than exhort. If you’re a religious leader, you can refrain from pulling spiritual rank. You can do more for your flock by listening and providing them with a personal example worthy of emulation than you can by invoking higher authority, which is often little more than a claim that God shares your politics. 6. Guardian professions (policing): Bring dignity to law enforcement. If you’re a policeman or woman, protect citizens’ dignity as you already protect their lives. Any kind of profiling is rankism. 7. Military: One part of a strong defense is not giving offense in the first place. Indignity is the source of indignation, so to avoid escalation or revenge, take care to spare your foes gratuitous indignities. If you’re in electoral politics you can point the way to a dignitarian society, even if your colleagues aren’t yet ready to embrace your ideas. Treat your opponents with dignity. Don’t sneer, mock, or condescend. Avoid patronizing or posturing. When politicians lay claim to moral superiority, they extend rankism’s lease. Since rankism is an attack on both liberty and dignity, denounce it along with the other “isms.” Explain to your constituents why you’re against it–in all its forms–and then go after them one by one. Be the leader you wanted to be when you first imagined running for office. Be willing to lose an election for your dignitarian convictions. If you do lose, run for office a few years later, and win! To paraphrase Victor Hugo, dignity is an idea whose time has come. 9. Other professions: Show the world dignity through your profession. If you’re an artist, expose rankism; put dignity on exhibit. If you’re a philosopher, define and deconstruct dignity. If you’re a psychologist, demonstrate the consequences of malrecogntion. If you’re a comedian, make us laugh at the double standards that apply to somebodies and nobodies. If you’re a filmmaker, give us heroes who overcome rankism without resorting to rankism. 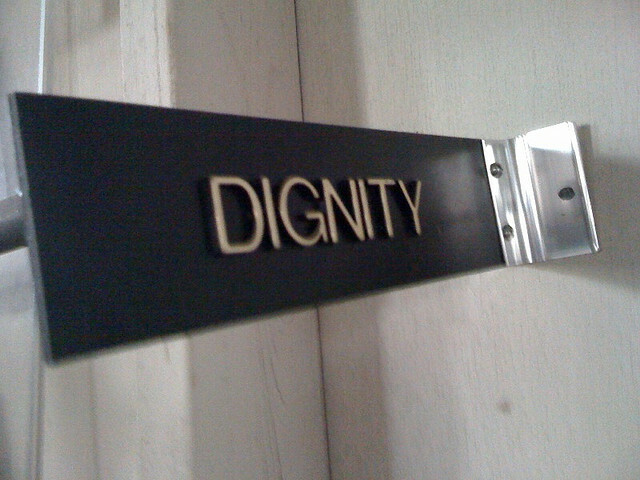 If you’re a songwriter, write an anthem for the dignity movement. If you’re a TV producer, stop exploiting humiliation and celebrating rankism. Sooner than you think, the staple of TV entertainment–humiliation–is going to feel as off-key as racism, sexism and homophobia do today. 10. Be a Susan B. Anthony of the Dignity Movement. In the 19th century, Susan B. Anthony traveled a million miles by train and gave 20,000 speeches advocating the enfranchisement of women. Sadly, she did not live to see the success of the suffragette movement she spearheaded (but her image is on the dollar coin). If you’re an organizer, create a chapter of the dignitarian movement in your area. Coordinate with other chapters and make them a national force under the slogan “no rankism” and the banner “dignity for all.” Programs to help the poor or end poverty will continue to fall short until those trapped in the underclass have found their voice and together insist on respect and equity. Do what Susan B. Anthony did for women and Rosa Parks and Martin Luther King, Jr. did for African-Americans: help the victims of chronic indignity find an effective way to give voice to their plight and change the status quo. A piece posted today on bNET, CBS’s Interactive Business Network, asked why “moral” people act unethically. Having read quite a bit about the Holocaust and other extreme acts of violence in humanity’s past, I figured the piece would delve into the standard “banality of evil” argument: that people who do bad deeds are often good (or, at least, morally neutral) people in bad situations. This explains the Nazi prison guard who emotionally and physically destroys his inmates, only to arrive home at the end of the workday to his loving wife and children. The world of evil isn’t filled with psychopaths and schizophrenics; more often, it’s filled with bread-and-butter folks like you and me. If someone has behaved morally or in some other way established a moral image, that frees the person to subsequently engage in less ethical behavior–sort of the moral equivalent of permitting yourself to eat chocolate cake after you exercised. For example, one study found that participants asked to write a story referencing their positive traits donated just one-fifth as much as those who had to write a story about their negative traits. Another experiment in the same paper concluded that this effect occurred because of the impact of the story-writing on participants’ self-concept–people who felt badly about themselves (having made negative traits salient) bolstered their self-image by being more generous, while those who already felt positively about themselves were free to be less generous. Other research demonstrated that when study participants’ past behavior established their credentials as non-prejudiced individuals, they were more willing to express attitudes that showed prejudice. While these findings are fascinating in and of themselves, it’s the overall conclusion drawn by Pfeffer, the author, himself that really caught my attention. Pfeffer suggests that we businesspeople (remember, he’s writing for a business publication) should avoid over-praising fellow business(wo)men for ethical behavior, since they may then unconsciously feel entitled to commit unethical acts. …To encourage the best behavior on your team, it is important to not bestow excessive praise or positive regard, so they feel as if they must continually demonstrate their moral credentials. It is when people feel they have nothing left to prove that they don’t. This aligns so closely with the business leadership model of the Dignity Movement. Note that Pfeffer doesn’t blame rank for unethical acts; he blames the self-aggrandizing language that the rank makes possible. In other words, self-proclaimed moral leaders must continually earn their titles. This has been one of the core messages of the Dignity Movement for years now. I’m glad to see that the business community, finally, is coming on board. Is It Possible to Treat Criminals with Dignity? One of the most frequent questions I get asked about the Dignity Movement is whether it’s possible — whether it’s even worthwhile — to treat criminals with dignity. The answer is an unequivocal yes on both counts. But don’t take my word for it. Watch this short documentary on the first-ever dignitarian prison in the United States. The Definition of Dignity: Did Aristotle Have It Wrong? This is Aristotle. Looks like a nice guy. Good old Aristotle, I thought. Never leaves you hanging. Doesn’t it seem like there’s always an ancient Greek guy who’s got the perfect quote for whatever larger-than-life concept you’re pondering on a given day? Plato, Socrates, Aristotle. What would we do without them? And what a great quote this one seemed. 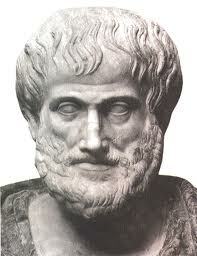 Dignity isn’t something you earn through external rewards, Aristotle declares. It’s something you bestow upon yourself. All it takes to have dignity is to acknowledge that you deserve “honors.” The quote’s especially relevant to the Dignity Movement if by “honors,” Aristotle is referring to that one basic honor that’s fundamental to all human beings: recognition by others. Really, what else drives us more than recognition? As Charles Horton Cooley expounded 109 years ago, our self-identity is completely wrapped up our perception of how others see us. As we see our face, figure, and dress in the glass, and are interested in them because they are ours, and pleased or otherwise with them according as they do or do not answer to what we should like them to be; so in imagination we perceive in another’s mind some thought of our appearance, manners, aims, deeds, character, friends, and so on, and are variously affected by it. We are, as Cooley suggests, “looking-glass selves,” mutually dependent on recognition as we shape our own self-perceptions. To say that someone has dignity when they’re conscious that they deserve “honors” from others is to suggest that dignity can be gained or lost. Dignity is not a variable. It is a constant. Take the standard definition of dignity (pulled from Google Definitions just now): “the state or quality of being worthy of honor or respect.” I’ll jump in again to suggest that respect or honor is really nothing more than glorified recognition — recognition of a person’s wholeness, of their nuances, of their unique contributions to the world. Sure, we respect certain business tycoons, but we also respect the man singing in the metro station. Why? Because we can recognize both of them as people. Honor or respect, then, are just higher iterations of fundamental recognition. So we can redefine dignity to “the state or quality of being worthy of recognition.” And here is my thesis: all people are worthy of recognition, because all people, by sheer result of their nuances, offer unique contributions to the world. Each of us is worthy of recognition as a whole person. And even if we don’t receive that recognition from others — nay, even if we don’t recognize that worthiness in our very own selves — we still have, inherently, dignity. Dignity consists not in possessing recognition nor in being conscious that we deserve it. Rather, dignity resides in each of us, quietly waiting to unleash its transformative power upon the world. You know the Dignity Movement (against rankism) is gaining traction when a faux-news outlet crafts a tongue-in-cheek piece on rankism in the workplace. Oh, how far we’ve come since the initial publication of Somebodies and Nobodies! Dr. Harvey Piattoni, who has served Lake Huron University for thirty years as as the beloved Dean of Faculty will host a professional development workshop next Thursday for junior faculty and staff. As the old saying goes, “It’s funny because it’s true.” How many of us have worked under bosses who thought they were on the cutting edge of morality, while in fact, they were merely blind to their own rankist tendencies? All the more reason to direct ample attention to our own tendencies toward rankism, lest we become Dean Piattonis ourselves! So what’s rankism, anyway? This inspiring video featuring Dr. Robert Fuller explains the basics.